Provenance at Ducky Waddles. This piece was shown at Hard Copy. 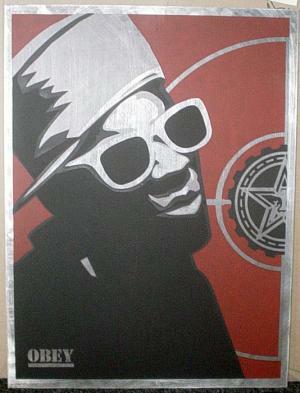 This piece differs from the standard Flava Flav Poster on Metal in that it was printed using an extra ink. It is not known if a matching Chuck D Poster on Metal variant exists.